Videogames are about escapism for the most part – tightly tailored experiences that help you live out fantasies that would be otherwise impossible in real life. 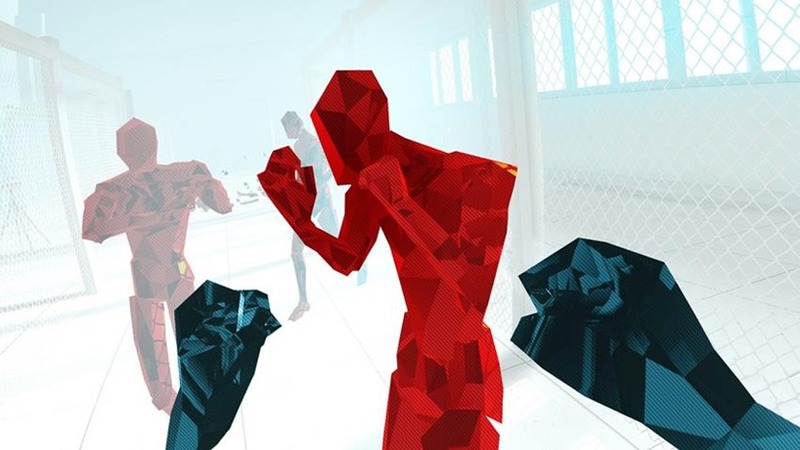 Scenarios like dodging bullets or moving with lightning fast reflexes, two facets of power fantasies that Superhot understands inside and out. The puzzler shooter grasps the idea of making you feel like Neo from The Matrix or John Wick with two hands and never lets go, but it’s playing in VR that really brings the existing mechanics to the forefront in a way that standard control really couldn’t. 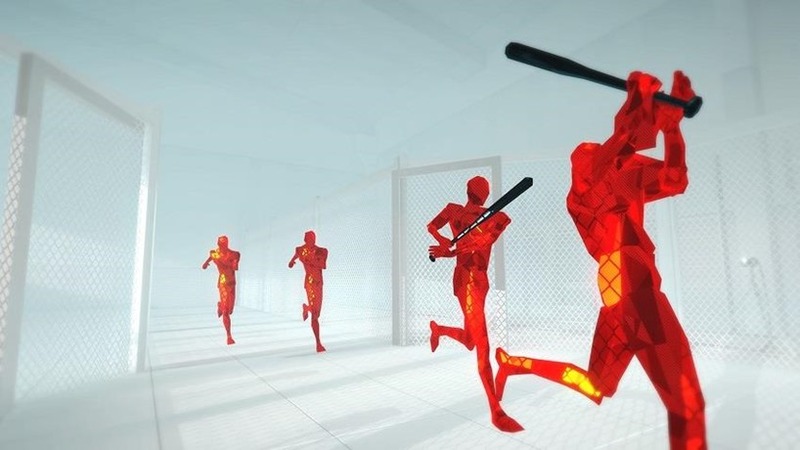 Superhot only has one core rule – time moves when you move. In the original version that often translated to more deliberate movements, with time returning to normal when you character took steps in any direction. In VR, these movements are more nuanced. Slight tilts of your head, reaches for weapons and aiming all contribute to movement, and hence advance the game during moments where you might not want them to. 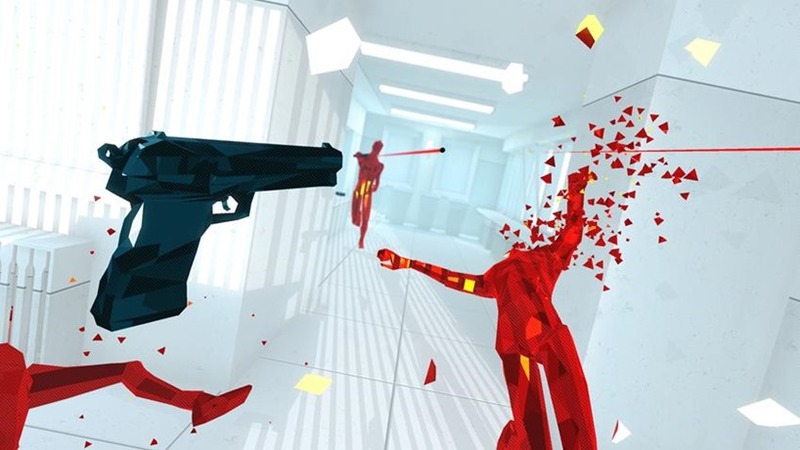 Dodging a bullet now seems trickier, with Superhot forcing you to have the foresight of reaching for a weaponised retort while also being spacially aware of where you’re leaning. Death is swift in Superhot which only serves to amplify the tension. A single mistake will send you plummeting back to the beginning of your current level, which is often comprised of multiple, bite-sized stages. Each stage presents a new puzzle of sorts. Bright red enemies will rush you with pistols, shotguns and melee weapons, and Superhot tasks you with using what’s literally an arms’ length around you to defend yourself. Sometimes you’ll be graced with a weapons cache at your feet, others nothing more than a few glass bottles. How you chain together kills and who you engage is just as important as managing your movements, making this still every bit of a thinking shooter as the original. But in VR, that euphoric feeling of success is amplified. It’s immensely rewarding to punch a foe in the face, grab their now launched pistol out of the air and fire off a round into a distant enemy who has just watched you dodge a shotgun spray. These moments come thick and fast in Superhot, with the fast pace of the otherwise short campaign never letting up. You’ll work up a sweat for sure, either from the stress the game puts you under or the physical strain you’ll put on yourself as you contort and move around a relatively small obligatory movement space. That’s more a limitation of PSVR than anything else, with Rift and Vive versions of the game supporting room-scaling pretty well. With a single camera though, you’re relegated to just forward-facing movements, and Superhot does its best job trying to manage it. But the PSVR is still resting on a base of aged hardware, which again works against the overall experience. It’s easy for your Move controllers to be lost by the camera, or simply go out of range when you reaching for the floor or aiming really high. In a game where single mistakes mean death, it’s irritating to have the hardware responsible for this more often than you would like. A pretty crucial part of gameplay is also hamstrung by this: throwing. Certain instances will force you into using melee weapons around you, which you can toss at foes by mimicking a throwing motion and pressing a button. It hardly works, with most of my would be deadly projectiles flying wither into the air or directly into the floor. When stages rely solely on this is becomes infuriating, encouraging me to instead dodge out of the way and pray for a foe to get within punching range. Throwing rarely feels great in VR, but it feels fundamentally broken here. 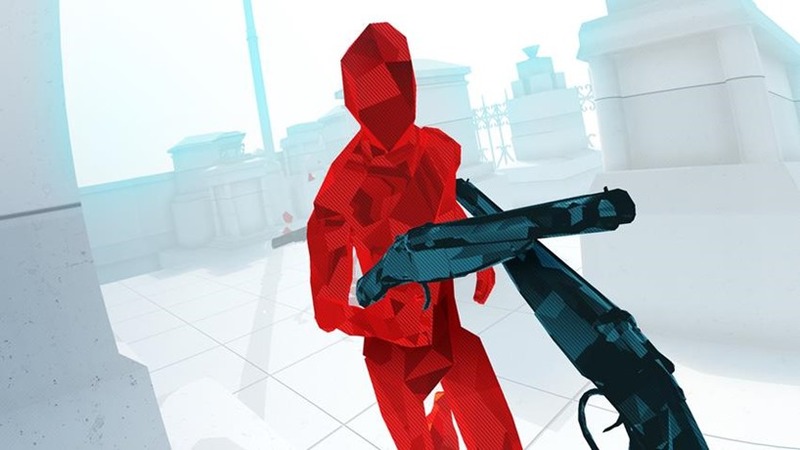 Thankfully, there are many other parts of Superhot that lend themselves to VR perfectly. The minimalist art style throws you into white clad works with low-poly art and sharp red enemies. The contrast serves to make foes stand out entirely against the backdrops, but the little detail also makes the lower VR resolution far less noticeable. The aesthetic never feels out of place either, instead conveying the sort of virtual reality within virtual reality experience the narrative is trying to convey. More games could learn from this approach, but few understand how to make minimalism work as well as Superhot does. The narrative is different from the core title, but retains some of the creepy undertones. Frequently you’ll be yanked from a virtual reality experience within the game itself, and it’s unsettling to pull another VR hat over your head while you’re wearing one. It’s more subtle in its approach and never really ties up some of the questions it poses, but retains the same messaging of control and deception that you might have appreciated from the original. It’s a lot shorter though, but being a VR experience and held back by actual character movement in level design, that’s somewhat expected. Outside of the campaign, there’s not much else going on in Superhot VR, which makes its asking price (this isn’t a free update to the original) sometimes hard to swallow. An unlimited wave mode is the only distraction waiting outside of the story, which should hold your attention for a few high score breaking runs. But where Superhot VR perhaps lacks in content it makes up in gameplay. There simply isn’t another VR title out there that embraces its medium as well as Superhot, nor do they truly make you feel so in-tune with the world you’re being immersed in. 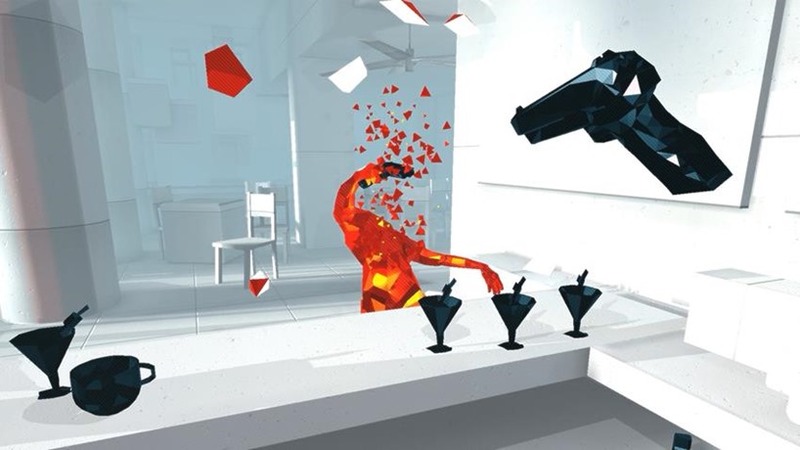 Superhot delivers on its premise in every way, and its empowering gameplay is intoxicating to the point of addiction. This is a must for PSVR owners. Inherited PSVR hardware issues aside, Superhot VR is to date one of the best games you could possibly play on the platform. Its expert pairing of challenge and empowerment make for an exhilarating shooter experience, that has you thinking and reacting in equal measure to feel like a lighting fast action hero.